The Young Māori Party was not an organised political party but an affiliation of like-minded individuals. 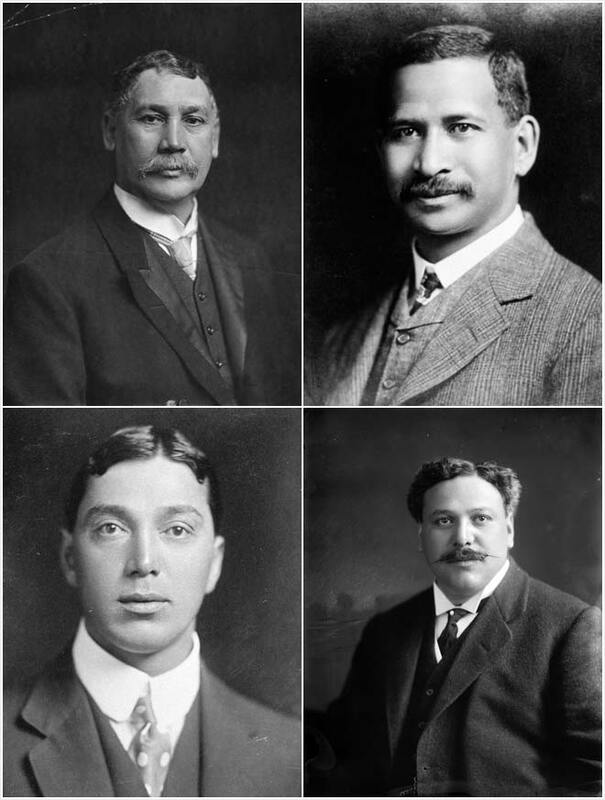 Clockwise from top left are four key figures: James Carroll (Ngāti Kahungunu), Āpirana Ngata (Ngāti Porou), Māui Pōmare (Ngāti Mutunga, Ngāti Toa) and Te Rangi Hīroa, also known as Peter Buck (Ngāti Mutunga). The last three, along with other party members, attended Te Aute College in Hawkes Bay. All four were eventually knighted in recognition of their public service.